Stanley Drummond was a Methodist Minister and he was sent by his church to the town of Cobar in 1924. From there he travelled extensively across the Western Plains to visit his people. He saw that many of the children on the lonely farms needed a doctor's care. How were they to get it? They had no chance because they would have to be taken hundreds of miles to the nearest town, and their parents could not leave the farms. Some of them really needed to go to special doctors in Sydney. Thus was born the Far West Home for children at Manly where the children could have a holiday and have medical treatment at the same time. Out of this grew the Far West Health Scheme with committees in many outback towns. Dr J. McLean of Trangie made the suggestion that Baby Health Clinics should be set up to help mothers and babies in the Far West, remarking "prevention is better than cure, Mr Drummond." An approach was made to the Department of Railways at the behest of Mr Morris, Director of Railways, who had suggested the use of a railway carriage. With the co-operation of Railway Department officials a railway carriage was converted into a mobile home and clinic, Clinic Car No. 1.This car entered service in 1931 with Sister Brooks, an English woman, in charge. It was based in the Far West visiting Brewarrina, Warren, Nevertire, Nyngan, Cobar and intervening places. Shunted off for a few days at different sidings, this was the beginning of a vast network of Far West Baby Health Clinics. No. 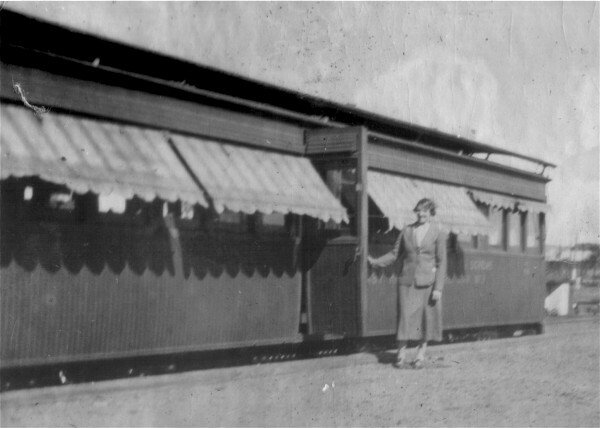 2 Clinic Car entered service early in 1934 with Sister Kellie in charge and visited Walgett, Collarenebri [Pokataroo], Burren Junction, Wee Waa, Boggabilla, Garah and Mungindi. Sister Kelly also visited Hebel in Queensland, Angledool and Boomi. No. 3 Clinic Car entered service later in 1934 with Sister McInnes in charge and serviced the Coonamble and Coonabarabran lines. Help was given towards the cost of furnishing these cars by a Sydney Branch of the Far West Children's Health scheme at Croydon while the Railway Department subsequently installed refrigeration in lieu of ice chests free of charge. When Sister Brooks returned to England she was succeeded by Sister Webb in Clinic car No 1.By the close of 1937 Clinic Car No. 1 was still on the Bourke - Cobar run but now with Sister Millar in charge, Clinic Car No. 2 with Sister Roughly in charge was doing the Garah - Boomi - Warialda run, starting from Moree. Clinic Car No.3 had been sent to the Parkes district, based at Ivanhoe on the Broken Hill line, with Sister McInnes still in charge. Movement of the cars between stations, sidings and fettlers' camps was supervised by the Traffic Branch of the Railways Department who arranged for the cars to be worked on the first available train whether it was a passenger or a goods train. Clinic Car No. 1. This car entered traffic in November, 1886 as a Redfern First Class Picnic Saloon 105. In the 1892 renumbering it was allotted the number 84 and coded BK. In 1916 a toilet was fitted to make the car more suitable for picnic parties and it was recoded LBK. 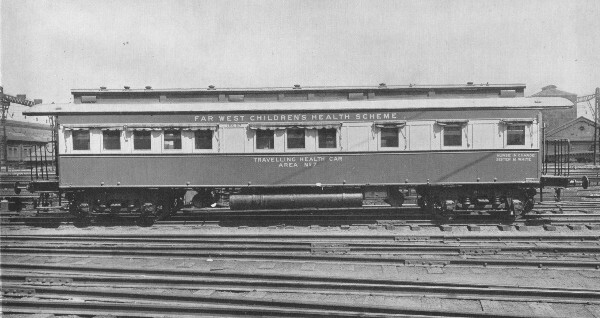 In 1930 it was selected to be converted to become the first Far West Children's Health Scheme Clinic Car. One compartment became a sleeping compartment with a berth and wardrobe. The main saloon was divided into two by a movable curtain. This area contained a number of tables, seats, a cupboard and an ice chest. At the other end, the compartment was fitted with a sink, shower and toilet. Entry to the car was via the saloon doors. Other work included strengthening the drawgear, provision of two gas cylinders and as the car was to be stationed at various places for a while, removable shade blinds were fitted on the outside to keep the interior cool. This car entered service in January, 1931. As there were no other cars coded LBK in existence the code became the Far West Cars' own, this car even retaining its current number. Clinic Car No. 2. This car entered traffic in January, 1887 as a Redfern First Class Standard Saloon being renumbered in 1892 to 497 and coded BK. It entered shops in 1933 for a conversion similar to Clinic Car No. 1, entering traffic in February, 1934 as LBK 85, being renumbered in sequence with the first car. 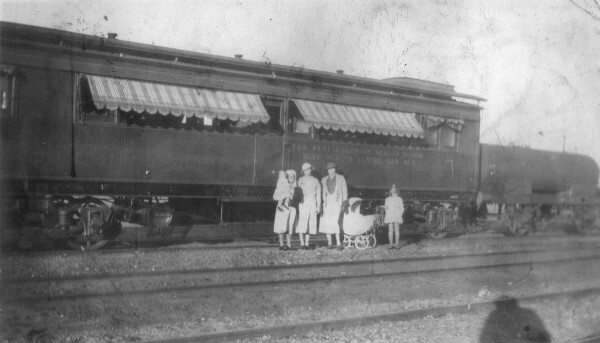 Later a fourth car was added to the fleet. At a Council meeting held early in 1941 a letter was read from Sister McInnes telling of her meeting in the country with her old friend, Mr T. J. Hartigan ,Commissioner of Railways, and his offer of another Clinic Car which he had given Sister permission to design and furnish at the railways' expense. She expressed her appreciation of the generosity of this good friend of the Scheme, also his good friend Mr. Barton, the Signal Engineer, whom had kept the wireless up to all the Clinic Cars. She also expressed her thanks to every railway employee who had seen to details to make the lives of the Sisters more comfortable, making sure they had an adequate supply of fresh water and seeing to their needs in general. This car entered service in December, 1888 as a Hudson First Class Sitting Car. It was of the square-ended Clerestory Roofed type. In the 1892 renumbering it became car 477 and was coded BB. In 1898 it was recoded FA denoting it as a Second Class Car. It was condemned in 1940 and taken into the workshops to be converted to Far West Children's Health Scheme Clinic Car No. 4. 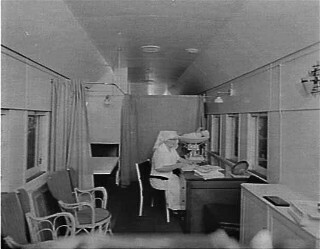 During the conversion the open car was divided into two sections, one for the clinic and the other accommodation for the Sister. The Clinic end had comfortable chairs placed along the walls and a bench seat placed along the centre petition. There was also a writing desk and several tables as well as a bookcase and a wireless. Entry to this area was via the end platform. The living area consisted of a side corridor off which were several compartments, the first being a kitchen area, the next a bathroom with bath and wash basin followed by a larger compartment with bed, stool wardrobe and dressing table. The side corridor ended in a vestibule which contained a water cooler and the lavatory compartment and door to the end platform. This car was much more refined than the earlier cars and had been designed by Sister McInnes, as mentioned above. It re-entered traffic in this guise in January, 1941 being recoded and renumbered as LBK 87X. The X suffix denoting non-revenue "Duplicate Stock". This car was originally sent to operate in the south west of the state. The first series of Clinic Cars had by now been in constant use for many years. At this time they were deployed on the following lines: 1. Nyngan - Cobar. 2. 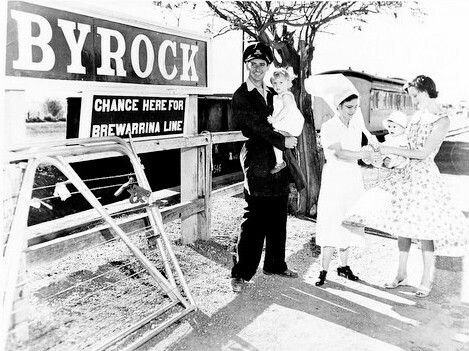 Byrock - Bourke and Byrock - Brewarrina. 3. Binnaway - Gwabegar and 4. Moree - Mungindi and Moree - Boggabilla. Working to a pre-arranged timetable they called at various settlements and towns en route where they were shunted to a siding while the local mothers came to have their children weighed and inspected and sought the advice of the Sisters. The stay at each locality varied from two to ten days depending on circumstances. 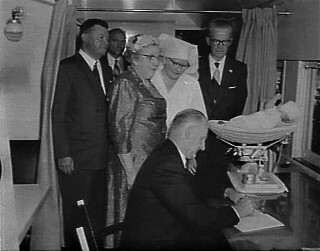 To replace these aging cars the Commissioner for Railways, Mr N. McCusker, in April, 1960 handed over two new Baby Clinic Cars to the Far West Children's Health Scheme at a special ceremony held at Sydney Terminal Station. Mr McCusker had always taken a keen interest in the Clinic Cars and the good work the Scheme had done in this field. He had seen the first car go into operation thirty years previously when he was a Porter at Bourke. These cars were converted from older cars. One half of the car was rebuilt as a waiting and consulting room and the other as living accommodation for the Far West Sister in a similar fashion to original Clinic Car No.4. In the consulting room there were comfortable seats along each side for waiting mothers and a bookcase, fixed seat, desk and movable chair for the Sister. On the other side was a curtained off section which held a small table and fixed seat where mothers could attend to their babies in privacy. The remainder of the car comprised the Sister's sleeping, kitchen and bathing facilities and was separated from the office section by a curtain. The kitchen was complete with all cooking facilities including a refrigerator, three-burner gas stove, hot water urn, stainless steel sink and work benches. The bathroom held a bath with wall shower rose, wash basin and cupboard, the bath being enclosed by a waterproof curtain. The car interior was completely insulated from the high temperatures experienced in the far west by the fixing of Cane-ite sheets to form a double ceiling. The former electric lights and axle-driven generator were removed and replaced by gas lamps supplied from a Portagas LPG Installation. The gas bottle holders were located at the far end of the car near the W.C. All doors and windows were fitted with fly screens and additional protection from the sun was afforded by five canvas blinds along each side. The end platforms were cut back to facilitate entry from light but serviceable timber steps which were placed in position at each stop. Rotary ventilators were fitted in the roof as well as an external aerial for the transistor radio. The first of the new series of cars took up service in the Nyngan - Cobar and Bourke - Byrock - Brewarrina areas. Two further cars entered service in 1961 and 1963 replacing the remainder of the earlier cars. The original cars were withdrawn and condemned as follows: LBK 84 and LBK 86 in April,1960; LBK 85 April,1961 and LBK 87 October,1962. LBK 84. This car entered traffic as a Second Class Suburban Car with a mansard roof, FA 1272, in July, 1908. It was out shopped in March, 1960 after conversion to a Clinic Car, replacing the original LBK 84. LBK 86. This car entered traffic as a First Class Suburban Car with a mansard roof , BB 1210, in December ,1907. It was recoded FA, denoting Second Class in September, 1930. It was also out shopped in March, 1960 after conversion to a Clinic Car and along with LBK 84 [second] was presented to the Far West children's Health Scheme by the Commissioner for Railways at the special ceremony held at Sydney Terminal Station in April of that year. These two cars replaced the original 84 and 86. LBK 85. This car entered service as Terminal First Class Suburban Car 187 in April 1890 and was part of Set 2. It was coded and renumbered BB 204 in 1892. 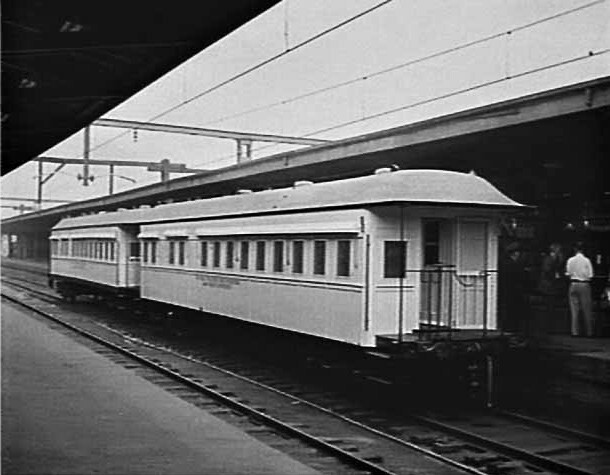 It was recoded FA in June, 1902 and finally HFA 204 in March, 1941 still as a terminal car in Set 2.The set was condemned in May, 1960. It was out shopped in May, 1961 having been converted to a Clinic Car to replace the original 85. LBK 87. This car entered service in August, 1891 as a First Class Suburban car numbered 208.The 1892 renumbering saw it coded and renumbered BB 279. It was recoded FA in September, 1937 and was converted during 1963 to become a Clinic Car entering service as such in May, 1963 replacing the original 87. With the progress of motor and other transport and the establishment of Baby Health Clinics in many outback towns the use of the Clinic Cars diminished. The first to be withdrawn was LBK 86 [2nd] which was condemned in September, 1969.The others soon followed with LBK 85 [2nd] and LBK 87 [2nd] being condemned in June,1971 and LBK 84 [2nd] in June, 1975. LBK 86, the first to go was not scrapped. It was forwarded to Cobar as part of the Vintage train which worked to Cobar as part of the Cobar Copper Centenary in 1969.The train consisted of NCL Set 88, AC 1 State car, SWT water tank and LBK 86, Far West Clinic Car No. 3, and was hauled by 1243 and 1709 unassisted from Orange .It departed from Nyngan on the morning of 6th September, arriving at Cobar later that day. At Cobar LBK 86 was presented to the Cobar Pastoral, Mining and Technological Museum where it is currently housed in a covered building on a section of track and open for inspection. LBK 85 also survived after condemnation, being sent to Brewarrina for use as a Baby Health Clinic by the Hospital Commission from 5th June, 1975. Railway Digest. 9/1969 ARHS NSW Div. The Magic Shoulder. Polly Wearn. Far West Children's Health Scheme.